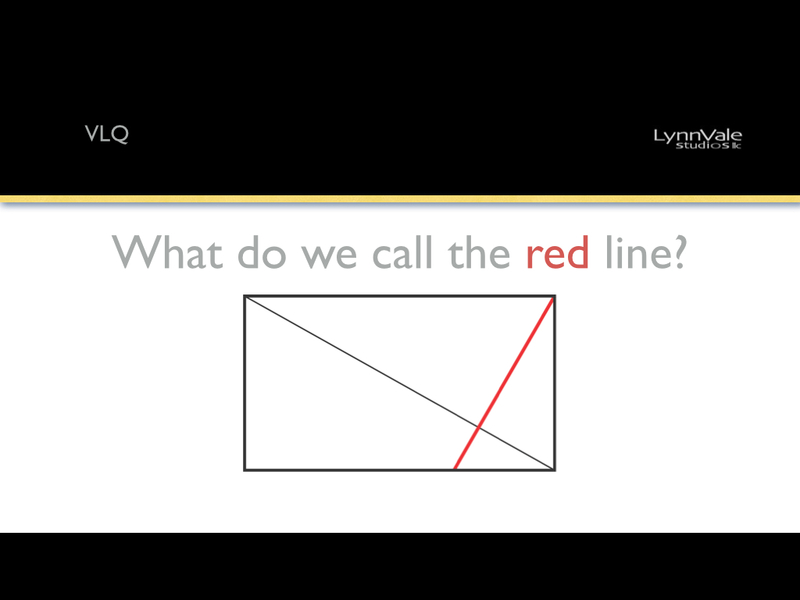 What do we call the Red Line? As we learned in the Topology: Part II post, one of the Primary Shapes is a Square. A square is a rectangle with the proportions 1:1. Primary shapes have their own organizing elements. A circle is defined by it’s radius. A triangle has three sides and three vertices. A rectangle has two vertical sides that are parallel and two horizontal sides which are parallel that meet at four vertices at a right angle (90°). 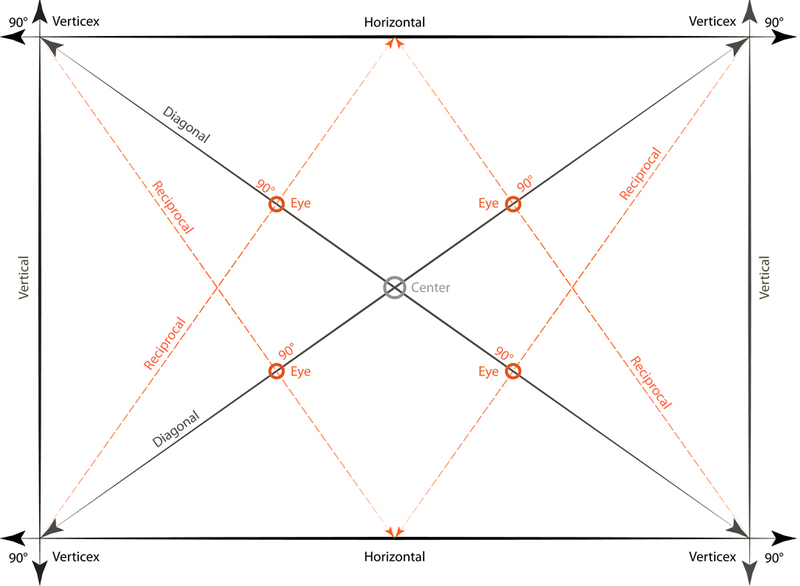 A Rhombus is also a Quadrilateral but its sides do not meet at 90° at the vertices. A rectangle also has two diagonals. One that goes from the lower left hand corner to the upper right hand corner and another that goes from the upper left hand corner to the lower right hand corner. Do you know their names? In other words, it Relates and it doesn’t end with one. 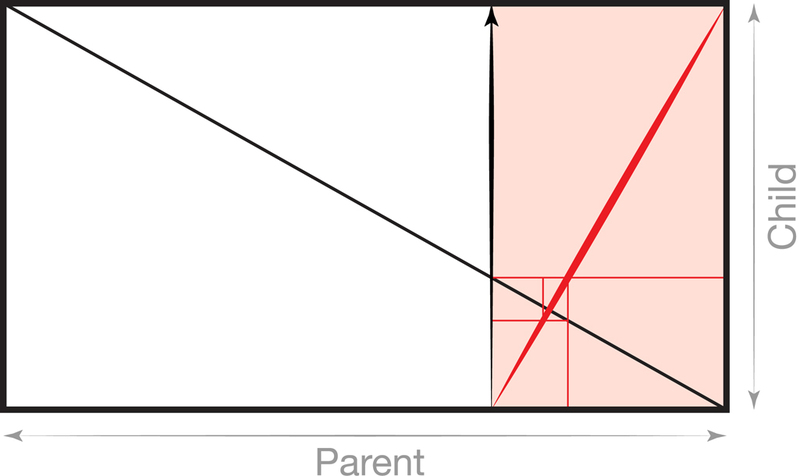 The Reciprocal of the Parent becomes the Diagonal of the Child and a segment of the Diagonal becomes the new Reciprocal generation after generation. This is the case for all rectangles. ← VLQ: What is the Opponent to this?